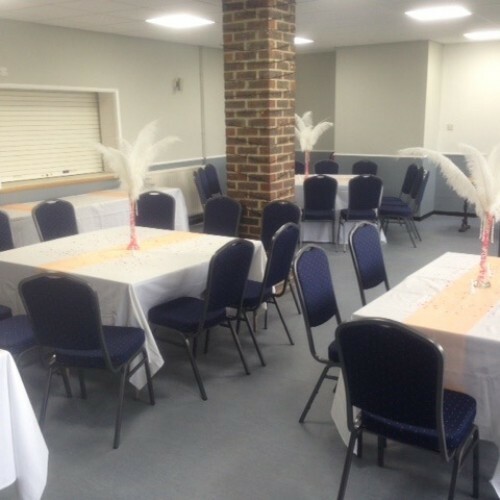 The Clubhouse Function Room has a maximum 120 person capacity (120 standing or 80 seated), which is large enough to cater for most events, but also ensures your guests are not lost in an over-sized hall that can sometimes be the case. The adjoining Bar area can accommodate approx 80 people with a combination of seating with tables, and standing. So you can enjoy an intimate venue with some character, that could be the ideal solution for your event. FREE PARKING for vehicles is all on-site with plenty of spaces. All within easy access just 1 mile from the A10 road at the Ware turn off. If you wish to enquire about booking the Function Room, please speak to our Bar Manager Lyn Wells on 01920 870473. Or feel free to pop in during our opening hours to take a look and talk through options. There have been 0 reviews of St Margaretsbury Croft Room. If you would like to send St Margaretsbury Croft Room a booking enquiry, please fill in the form below and click 'send'. Perhaps some of the following halls within 5 miles of St Margaretsbury Croft Room would also be of interest?